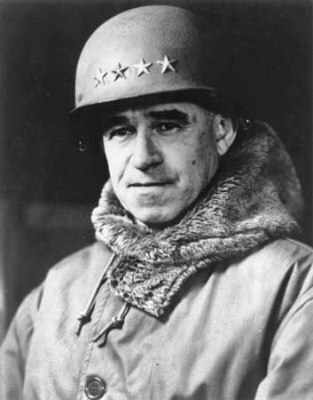 World War II: General Omar Bradley Early Life & Career Born at Clark, MO on February 12, 1893, Omar Nelson Bradley was the son of schoolteacher John Smith Bradley and his wife, Sarah Elizabeth Bradley. Though from a poor family, Bradley received a quality education at Higbee Elementary School and Moberly High School. After graduation, he began working for the Wabash Railroad to earn money to attend the University of Missouri. During this time, he was advised by his Sunday school teacher to apply to West Point. Doing so, he was accepted and entered the academy in 1911. Taking to the academy's disciplined lifestyle, he soon proved gifted at athletics. This love of sports interfered with his academics. However, he still managed to graduate 44th in a class of 164. A member of the Class of 1915, Bradley was classmates with Dwight D. Eisenhower. Commissioned as a second lieutenant, he was posted to the 14th Infantry and saw service along the US-Mexico border. Promoted to the first lieutenant in October 1916, he married Mary Elizabeth Quayle two months later. With the US entry into World War I in April 1917, the 14th Infantry, then at Yuma, AZ, was moved to the Pacific Northwest. Now a captain, Bradley was tasked with policing copper mines in Montana. Desperate to be assigned to a combat unit heading to France, Bradley requested a transfer several times but to no avail. Made a major in August 1918, Bradley was excited to learn that the 14th Infantry was being deployed to Europe. Bradley devoted his free time to studying military history, with a special interest in the campaigns of William T. Sherman. Impressed with Sherman's campaigns of movement, Bradley concluded that many of the officers who had fought in France had been misled by the experience of static warfare. As a result, Bradley believed that Sherman's Civil War campaigns were more relevant to future warfare than those of World War I. 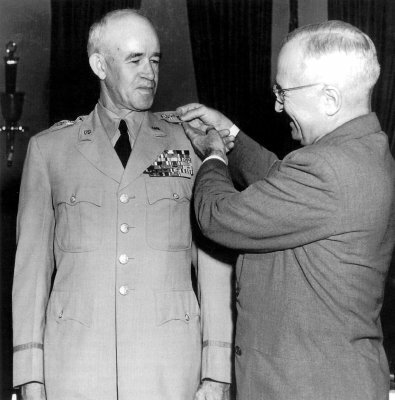 Promoted to major while at West Point, Bradley was sent to the Infantry School at Fort Benning in 1924. As the curriculum stressed open warfare, he was able to apply his theories and developed a mastery of tactics, terrain, and fire and movement. Utilizing his prior research, he graduated second in his class and in front of many officers who had served in France. After a brief tour with the 27th Infantry, where he befriended George S. Patton, Bradley was selected to attend the Command and General Staff School at Fort Leavenworth, KS in 1928. Graduating the following year, he believed the course to be dated and uninspired. Departing Leavenworth, Bradley was assigned to the Infantry School as an instructor and served under future-General George C. Marshall. While there, Bradley was impressed by Marshall who favored giving his men an assignment and letting them accomplish it with minimal interference. Deeply influenced by Marshall's methods, Bradley adopted them for his use in the field. After attending the Army War College, Bradley returned to West Point as an instructor in the Tactical Department. 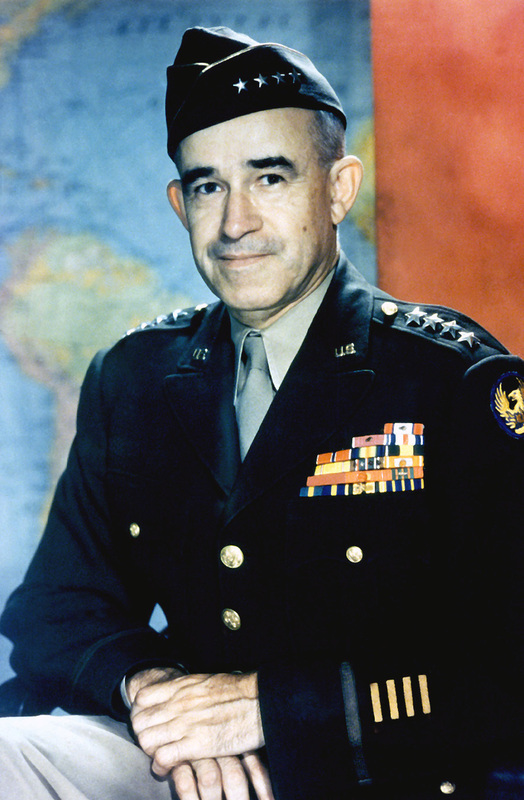 Among his pupils were the future leaders of the US Army such as William C. Westmoreland and Creighton W. Abrams Omar Bradley in World War II Promoted to lieutenant colonel in 1936, Bradley was brought to Washington two years later for duty with the War Department. 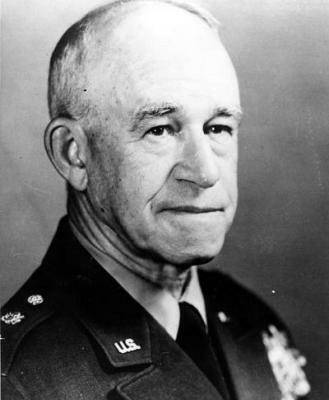 Working for Marshall, who was made Army Chief of Staff in 1939, Bradley was promoted directly to brigadier general in February 1941 and sent to command the Infantry School. While there he promoted the formation of armored and airborne forces as well as developed the prototype Officer Candidate School. 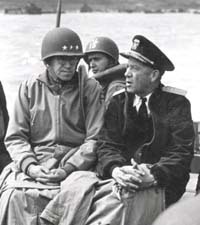 With the US entry into World War II on December 7, 1941, Marshall asked Bradley to prepare for other duty. Given command of the reactivated 82nd Division, he oversaw its training before fulfilling a similar role for the 28th Division. command of the US II Corps. This was done, and the authoritarian commander soon restored the unit's discipline. 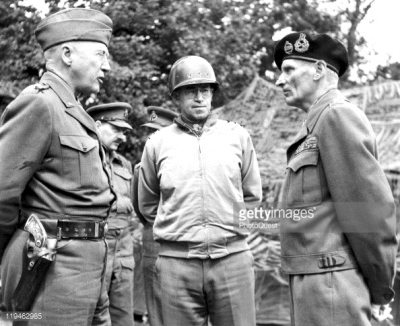 Becoming Patton's deputy, Bradley ascended to command of II Corps in April 1943, when Patton departed to aid in planning the invasion of Sicily. For the remainder of the North African Campaign, Bradley ably led the corps and restored its confidence. Serving as part of Patton's Seventh Army, II Corps spearheaded the attack on Sicily in July 1943.